I have had a bit of a love-hate relationship with journaling, over the course of my life. It has something to do with the journals themselves, sure. Like when you get one with this beautiful, hand-made paper and then realize that you can’t see ballpoint on it and when you use felt-tip it bleeds through. Or you buy this tremendously appealing, giant, blank book and discover that you are like ten pages of teeny-tiny writing into it like six months later. But the love-hate is more complicated than that. I suppose much of the hate arises from expectations. I expect that I write in it every day. That it look cool. That it have lots of things taped into it. That I fill a journal every year or so. That I finish a journal. That my sketches are Louvre-ready. And since I rarely do any of these things, my disappointment deters me from returning to or from pouring myself into the process. But journaling is wonderful. I know that I am supposed to say that I realize it is not for everyone, and on some level I agree, but I also very strongly believe that journaling can be a transformative and important process in any person’s life. And since a journal is a book, I am babbling to you about it here, on The Starving Artist. Because I have found some renewed fun and benefits from a couple of new, c0ncept journals. Now before I tell you about these new, concept journals, I want to tell you what I think journaling should be, should not be, and what it can do for you. Journaling should be a process of person and medium, where the medium allows the person to regularly process life. Basically, that’s it. Sort of like dreaming, but while one is conscious. Journaling should not be too constrictive, too lofty, or too big a thing. When people ask my advice about journaling (shut up, it has happened lots of times), I tell them to go buy some bound paper that they like–not too big or too small–a writing utensil and some tape, and then put something–read: anything–in the bound paper most days. (Below is a list of what those things might be.) You don’t have to begin with your feelings. You don’t have to spell correctly. You don’t have to even write a word, if that’s how today is going to go. Heck, you don’t even have to start at the front or write upright. But what journaling can accomplish for you, even if you are (supposedly) terrible at it, is this: posterity; relaxation; introspection; the ability to revisit wisdom or learn from folly; a creative outlet; knowing thyself; identifying emotions, feelings, and reactions; processing a complex life in a complex, modern world; bridging the material and spiritual; prioritizing or discovering what is important. And more! No, seriously. So what could you put in a journal, on any given day? 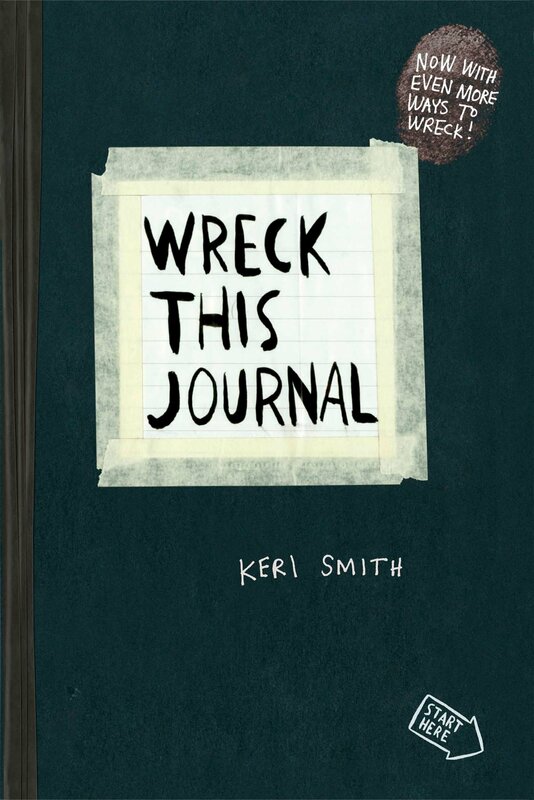 Wreck This Journal, by Keri Smith. Now, this is actually an anti-journal, and you are not going to cover any breadth of soul-searching here, but you are certainly going to tackle both your strictures on journaling and your strictures on a buttoned-up life. (Unless you reinterpret this anti-journal as a self-stroking journal project, which actually plenty of people have done. I guess I am a literalist.) I am maybe ten activities in to the journal and I am thoroughly enjoying it and my kids think I’m nuts which is basically the point. I don’t know if it’s going to change my life, but plenty of reader reviews have said that is precisely the case. My daughter also owns the little girl version put out by American Girls, called Tear Up This Book!. It is more crafty and less destructive, but she has been enjoying it for a long time. And the Keri Smith anti-library hardly stops there. 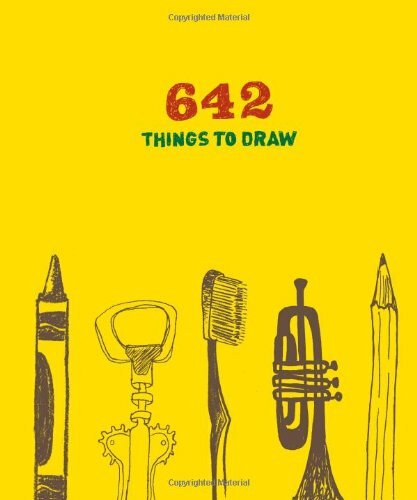 I plan on checking out her other titles, which include: The Guerilla Art Kit, How To Be an Explorer of the World, This is Not a Book, Mess, Finish This Book, and Pocket Scavenger. And I will be reviewing this title more completely at a later date, when I have, ahem, wrecked that journal. 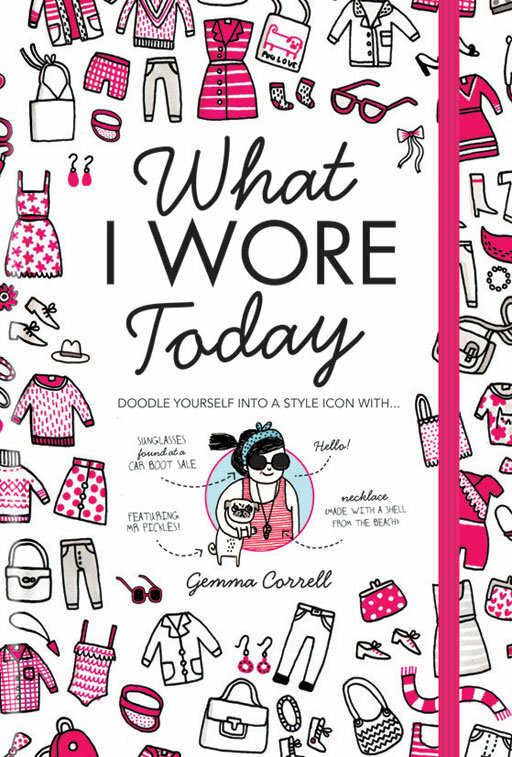 What I Wore Today, Gemma Correll. I don’t own this, but I have wanted to for years. However, one journal at a time, you know. Just another approach, if you are a shameless clothes horse, like me. The only thing that might make me more giddy is “What the Weather Was Today.” I’m not joking. Q&A a Day: Five Year Journal, by Potter Style. Yeah, that’s pretty obvious. 365 Journal Writing Ideas, by Rossi Fox. This might be a good one for a beginner, but might feel too constricting for others. All About Me, by Phillipp Keel. Not a journal at all, but still a way to connect with yourself and your life at the end (or beginning, or for that matter the middle) of the day. Or just stick with the tried-and-true blank, lined, or gridded, bound paper. Like I said way at the beginning of this blog entry. If you have an empty spiral notebook in your closet, use that. Or make a big deal of it and browse the local stationary or book store for what suits your fancy. And keep the options open: you can try a different format next time. Or you can stick with Moleskines for the next fifty years and line them up on your bookshelf between antique copies of National Geographic and the Barnes & Noble exclusive editions of the classics. (And if you have ADHD, don’t think that you are the latter person. Just be the former.) Whatever floats your boat. *Note to the wise: Do not look online to see what anyone else has done with these journals. Only maniacal and/or super-talented people post their journal/sketchbook innards. If you happen to peek on accident, consider that most of the posts come from the first two pages of any given journal, which just means that show-offs peter out. Now go do your thing.